RV Dream New Radio - Carefree Communities’ Sun-N-Fun Rv Resort Named Arvc Mega Park Of The Year Three Years Running. General Manager, Tim Deputy, is Recipient of 2015 ARVC Chairman’s Award. 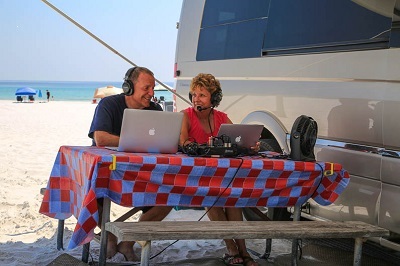 In a little over 10 months, Roadtreking: The RV Podcast (http://roadtreking.com) that features interviews, RV news, bucket list destination reports and tips and technology advice to enjoy the small motorhome lifestyle has just reached the coveted 1 million download mark. Carefree Has RV Resorts Across the U.S. Event featured 28 acts, and a $5,000 grand prize made possible by sponsors Jacobsen Homes and Gordon’s Food Service.